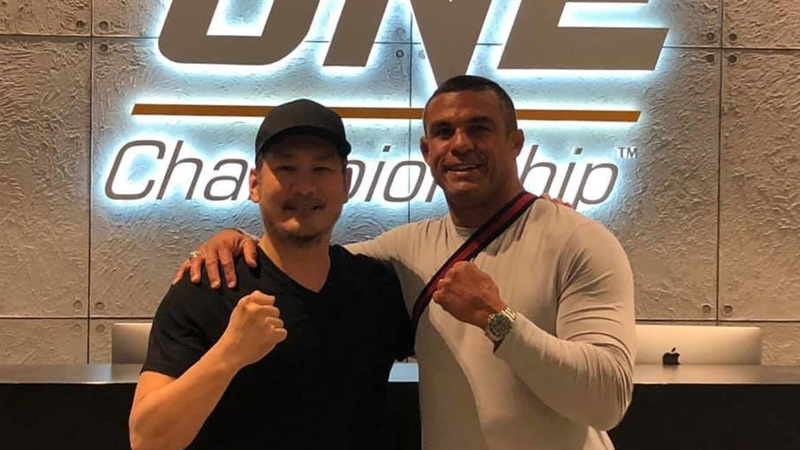 It Seems Vitor Belfort Is Close To Signing For Asian Promotion ONE Fighting Championship! Vitor Belfort announced the end of his fighting career following his head kick knockout loss to Lyoto Machida at UFC 224, on May 12, 2018. But on December 18, “free agent” Belfort said he was coming out of retirement, and discussed his plans for 2019! It looks like Vitor Belfort will continue his career in ONE FC! According to ESPN, the former UFC Light Heavyweight champion seriously negotiates with Singapore-based promotion on signing a multi-fight deal. The deal is not finalized yet, but if everything goes right, we might expect an announcement later this week. The former UFC Light Heavyweight champion traveled to Singapore where he met ONE CEO Chatri Sityodtong. ONE FC boss thanked “Phenom” for his arrival and hinted potential big news! In the beginning of his career, Vitor Belfort (26-14, 1 NC MMA, 15-10, 1 NC UFC) won UFC 12 Heavyweight tournament, on February 7, 1997, where he TKOd Tra Telligman and Scott Ferrozzo. He holds notable wins over Randy Couture, Michael Bisping, Nate Marquardt, Luke Rockhold, and Dan Henderson (2 times). Until now, ONE FC has signed some really good former UFC stars. The former 155-pound king Eddie Alvarez broke the ice and signed with Asian promotion in October 2018. Demetrious Johnson, Sage Northcutt, and Yoshihiro Akiyama followed his footsteps later. The all-time greatest Japanese 185-pound fighter Yushin Okami did the same thing a few days ago. Would you like to see the legendary Brazilian Vitor Belfort fighting in ONE FC?